Cod Gone Wild is a modern Celtic/Roots/Rock band based out of the Okanagan Valley in beautiful British Columbia. The “Cods” are a group of veteran musicians from diverse musical backgrounds, whose modern Celtic sound is flush with driving rhythms and tight vocal harmonies. Their concerts are always brimming with warmth, positive energy, and good cheer - the perfect place to spend a cold January night. Don’t miss your chance to catch the “Cods” at Horizon Stage on Friday, January 16. Cod Gone Wild was born when Newfoundlander and lead singer/guitarist Andrew Mercer moved to B.C. in 2009. He brought with him a passion for the traditional Irish/Newfoundland music he grew up with and a vision to create something uniquely Canadian. He recruited a group of Westerners with little Celtic background and ended up with a new and exciting spin on the Celtic sound. 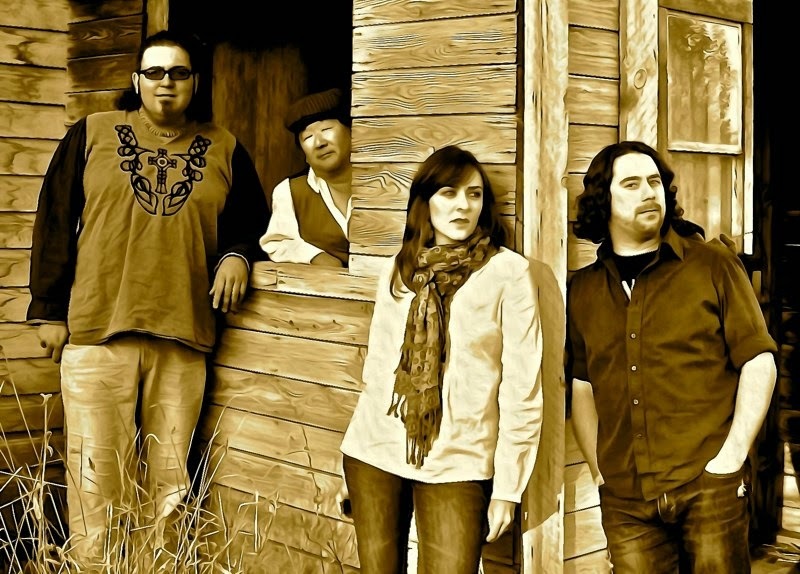 The members of Cod Gone Wild are Andrew Mercer (guitar, vocals, harmonica, bodhran, and ugly stick), Chad ‘Rhino’ Carter (drums, percussion, harmonica, and vocals), Anjuli Otter (fiddle, percussion, and vocals), and Roy Kawano (bass, percussion, and guitar). Together, they pool their extensive backgrounds and training in a variety of genres including folk, rock, jazz, classical, and funk, to create their own, uniquely western Canadian, Celtic music. The band released their self-titled debut album in 2011, and it still receives regular airplay on the east coast, across Canada on CBC, and on Celtic radio stations around the world. In 2012 they toured extensively to promote their second album, ‘The Traveler’, were named ‘Best of the Okanagan’ by Okanagan Life Magazine, and recorded their first live DVD during the Vernon Winter Carnival Irish Pub Night. Cod Gone Wild’s third album ’Battered & Fried’ was released in March 2014. It has more of a focus on modernizing the Celtic sound and contains more original music. Their “Battered & Fried Tour” this January will take them across Alberta, from Nojack to Forestburg, with multiple stops in between. Party with the “Cods” at Horizon Stage on Friday, January 16 at 7:30 p.m. Tickets are just $35 for adults, and $30 for students and seniors. Purchase yours in-person at the City Hall Ticket Centre (315 Jespersen Ave), by phone at 780-962-8995 or 1-888-655-9090, or online at www.horizonstage.com. This performance is proudly sponsored by Canadian Heritage, The Alberta Foundation for the Arts, Servus Credit Union, CKUA, Travelodge Inn & Suites, and Ticketpro.